Once upon a time you could think of your home as your castle, and enjoy the privacy that entailed, behind closed doors. However the defining lines of privacy have grown fuzzier in the digital age, as many details of our lives become exposed, wittingly or not, online or on some government or commercial agency’s back room server. And whether it be emails or photos best left private, it seems it's now open season on privacy - even in New Zealand. Public concern is not limited to backlash sparked by whistle-blowers such as Edward Snowden. There is a move toward the “right to be forgotten” by search engines, and for online consumer protection regulations with sharper teeth. This state of affairs is challenging how businesses and Government function, and the endgame will play out almost entirely in the ICT environment. Rick Shera explores the contemporary privacy scene, and offers a view of where the pendulum should come to rest. Rick Shera is a partner with the law firm Lowndes Jordan, and specialises in media and information technology law. A former vice president of InternetNZ, Shera helped shape the current shared registry domain name structure. Shera was a founding member of the Auckland District Law Society's Technology and Law Committee and chairs NetSafe, a not-for-profit cybersafety and cybercitizenship NGO. Shera is a member of the IITP and the first lawyer to obtain its ITCP qualification. 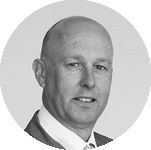 He is a chartered member of the Institute of Directors, an advisory board member of DigitalNZ and has just been reappointed as a director of The Network for Learning Limited, a Crown Company.